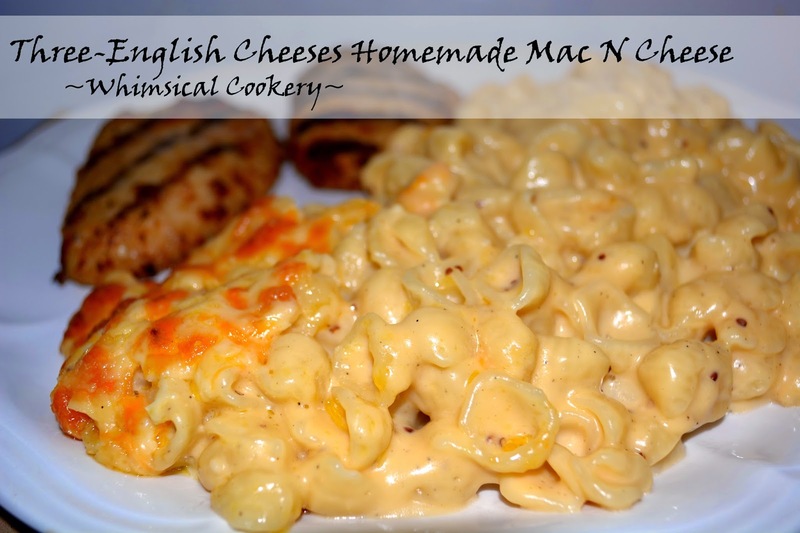 This Mac N Cheese has become a quick favorite in our household. It is just a matter of finding the time to grate all of the necessary cheese! 1. Cook noodles according to package directions, set aside if finished before you finish the cheese sauce part of this recipe. 2. Grate cheese and set aside 1/2 cup made up of all three cheeses. 3. In a saucepan, add water and dissolve cornstarch. Add salt, pepper, mustard, evaporated milk, milk, and butter. Stir constantly over a medium heat until sauce boils, letting it boil for about a minute. 4. Immediately stir in cheeses, allowing them to melt. Top with remaining 1/2 cup. 5. Add cooked noodles to mixture. 6. Grease casserole dish and pour in macaroni and cheese. 7. Bake at 350F/180C for approx 20-25 minutes, less in fan-assisted ovens.